Alternatives in Cancer Therapy offers help for all patients coping with cancer. Patients have the right to know all of their treatment options, and nontraditional therapies can enhance the quality of life and improve overall health while treating the disease. The therapies discussed are primarily nontoxic; have few, if any side effects; and tend to strengthen the immune system. They can be used as supplemental regimens that help maximize the effectiveness of traditional therapies such as surgery, radiation, and chemotherapy. This book provides the research, efficacy, potential side effects, and availability of each treatment. The most commonly diagnosed form of cancer for women in the Unites States, breast cancer is believed to be a disease largely beyond our control. In How To Prevent Breast Cancer, you’ll find groundbreaking information that challenges that belief and offers traditional and alternative approaches to avoiding the disease. 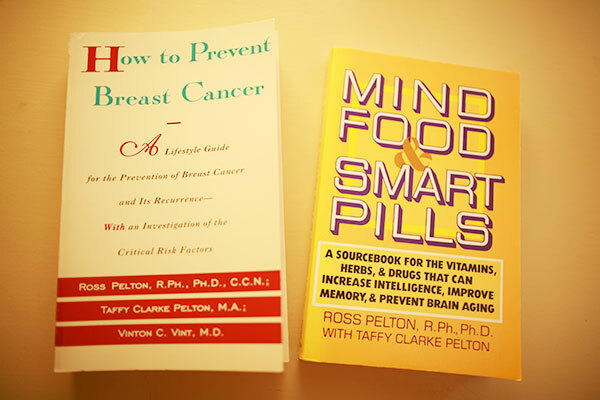 Practical and holistic, this thoroughly researched reference teaches you how to modify our diet and lifestyle to maximize your potential for living a life free of breast cancer. Written by two outstanding pharmacists and educators in the field of health and nutrition, Nutritional Cost of Prescription Drugs is an invaluable tool for any prescription drug users who wish to maintain good nutritional health. It features consumer-oriented discussions of commonly used drugs and the nutritional losses they cause, basic explanations of essential nutrients and their source, practical advice, and quick reference charts of drugs and nutritional losses. Birth control pills are currently taken by more than 12 million women in the United States and 100 million women worldwide. Most women don’t realize taking the “pill” substantially increases their risks for many health problems, some of which are quite serious. Oral contraceptives increase a woman’s risk of depression, sleep disorders, anemia, low energy, migraine headaches, vaginal yeast infections, heart attacks, strokes, blood clots, diabetes, a weakened immune system, giving birth to an infant with birth defects, and cancers in the uterus, colon, and breast. The Pill Problem teaches women how to protect their health from the dangerous side effects of oral contraceptives. Pelton educates women about why oral contraceptives can cause so many health problems, and he presents some relatively easy and inexpensive steps that can be taken to minimize their risks. This work contains a complete listing of all drugs known to deplete the body of nutritional compounds. Alphabetically organized, 150 drugs that cause nutrient depletion are identified and cross-referenced with more detailed descriptions of the nutrients depleted and their actions. The book also describes symptoms of depletion and sources of repletion. The appendices include a quick reference Drug-Induced Nutrient Depletion Table, along with details on food/drug interactions and herb/nutrient depletions. Designed to offer healthcare providers with a comprehensive guide to using natural products for many common medical conditions, this guide includes information on natural medicine, herbal medicine, nutrition, homoeopathy, and glandular extracts.